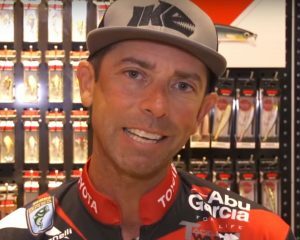 Most anglers who fish a lot with crankbaits like balsa. It’s buoyant and has a unique vibration in the water. The thing is, though, it also has drawbacks. Handmade versions are expensive and not every one reacts the same. Buy a dozen and you’re sure to get a few duds. Buy two or three and you might not even get one you like. Another thing is that balsa is soft. Make a 50 foot cast into a rock that’s only 30 feet away and you’ll often see a military-like explosion. At that point there’s little you can do other than say a few choice words and put the remains in your onboard trash bag. 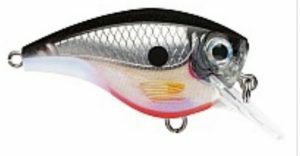 Rapala has fixed those issues with their new square bill. It’s called the BX Brat — B for balsa, X for extreme. It’s balsa in its core but that core is wrapped with copolymer. That wrap does three things. Actually, it does two things and doesn’t do the third. First, it protects the bait. Bouncing a Brat off a rock or a bridge piling is no big deal. I’ve done it in tests. No more shattered, expensive lures. A scratch or a scuff is about all you’ll get. And yes, we all make bad casts — even the most seasoned pros. It also takes some of the variation out of the balsa. The copolymer doesn’t destroy the light weight or buoyancy of the wood but it does mute the individual characteristics of the baits. They all perform the same. I tested dozens of Brats and didn’t have to throw away any of them. They all caught fish and they all ran true. I was impressed. The thing it doesn’t do is mess with the balsa’s buoyancy and its ability to float up and away from snags and obstructions that would hang a lot of other square bills. During testing I intentionally ran it into tree limbs and brush piles. It would strike the wood and then float right up, away from it. 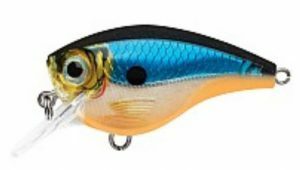 Something else that’s really neat about this lure is that its bill is designed to protect the VMC hooks it carries. This is really important. A square bill is, by its very nature, supposed to bounce off things. That’s where it’s at its best. But the constant banging against things can take a toll on the hook points. The Brat minimizes that damage by the unique design of its bill. The BX Brat comes in 12 colors and two running depths — 3-foot and 6-foot. The colors speak for themselves so I won’t say anything more about them. Find one the fish like and throw it. However, the two running depths are something we do need to talk about because they really set this bait apart. Lets say you’re fishing a shallow, sloping bank early in the morning. The baitfish are up and the light is low. The 3-foot model is the one you want. It’ll get down deep enough to catch the shallow, early morning bass that are feeding on the baitfish. However, once the sun is up over the trees the bass will move out a little deeper. They’re still relating to the bank but they’re out a ways. Swap your 3-foot model for a 6-foot model and you’ll be good to go. If you’re on a bite, you can throw the same exact color. It’s a really neat system. 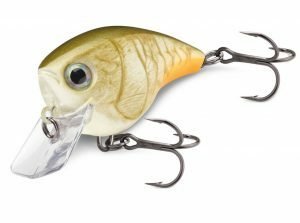 You should have some of these square bills in your crankbait box, and they’re available right now. Try a couple. See what you think. 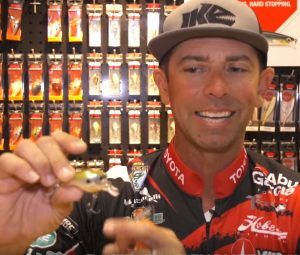 Hear Mike talk about the new Rapala BX Brat.